We will be utilizing the Letter of the Week for my Kindergarten student this year and E is Elephants. What better elephant to celebrate than Babar! This collection is based on the books by Jean and Laurent de Brunhoff and is fun for the whole family. I enjoyed watching these with the kids. They explore core values and are great for teaching character. Cartoons that are more than mere entertainment are always ones that speak to me as a mom. 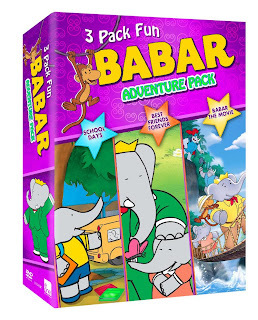 BABAR: THE MOVIE - It's high comedy and non-stop fun with Babr and his jungle friends in this spectacular feature-length animated motion picture adventure. Also included is a bonus episode from the classic Babar series. 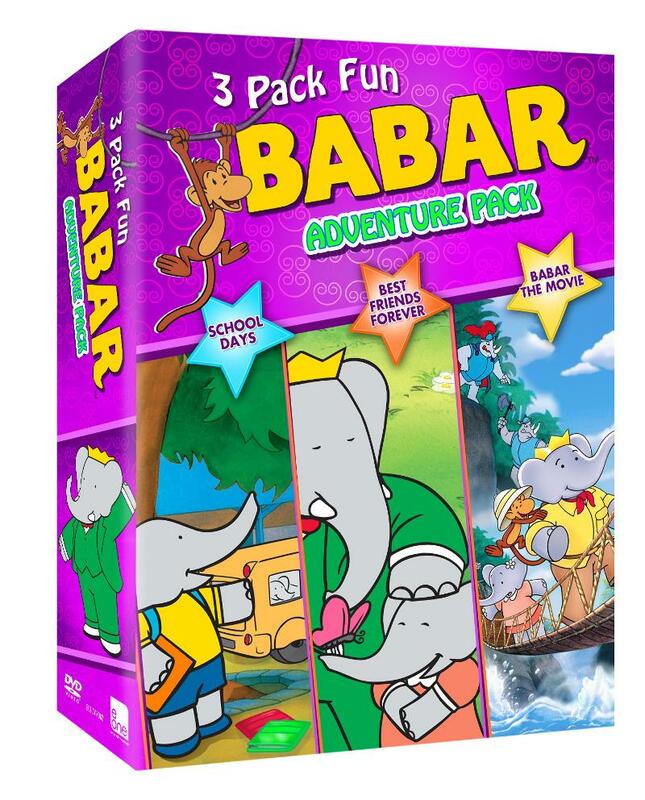 BEST FRIENDS FOREVER - This DVD features four classic Babar episodes from the popular HBO series: "Between Friends", "Friendly Agreement", "An Elephant's Best Friend", and "City Ways".